Join us as we gather in preparation for the New Moon in Taurus with a celebration of rebirth, fresh beginnings and the divine connection to the physical self. As we transition from the Full Moon of Libra we enter a time of fresh starts and a reconnection to the voices of the body. As we tap in to the celestial energy of New Moon Taurus we discover a reactivation of our authentic self all in its full divine glory. Join us for an evening of a soul stirring rhythmic journey of the senses through the practice of NIA, meditation and sound healing. Let us move from the ordinary to the extraordinary. A magical evening awaits you. Thursday, May 2nd from 7-8:30pm with Theresa Widmann and special guest NIA instructor and Soul Polisher, Amy Nelson. Investment: $20 advanced/$25 Door. 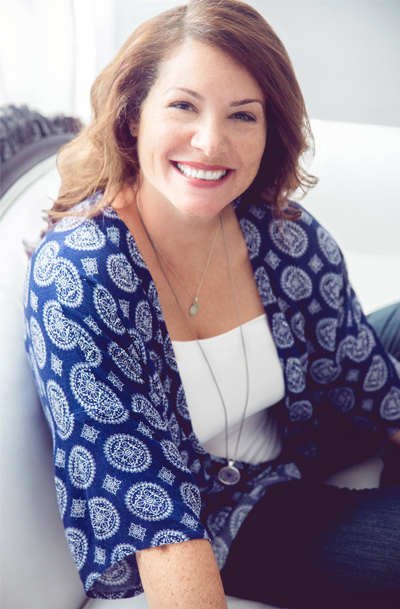 Amy is a vibrant, heart-centered speaker whose magnetic energy makes her a must-see. She effortlessly blends the healing components of movement, sound, energy healing, and practical life skills to offer a tangible approach to finding the balance we all seek in the four pillars of our lives: the mental, the emotional, the physical, and the spiritual. Amy is trained in the holistic arts of reiki, intuitive healing, and NIA. Her passion for community and global unity sparked the movement she calls the Bravery Brigade. Her goal is to use her skills to bring women together, allowing them to step into their authentic truth as they find balance. Amy believes all it takes is one act of bravery to be free of scripted realities, enabling you to find peace.